How are definition bars and distributions found in a complex model? 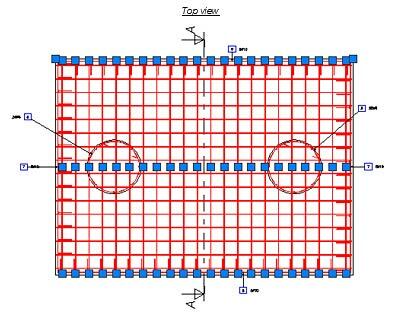 Advance Concrete provides simple procedures for the easy and fast management of reinforcement elements in a complex reinforcement drawing. 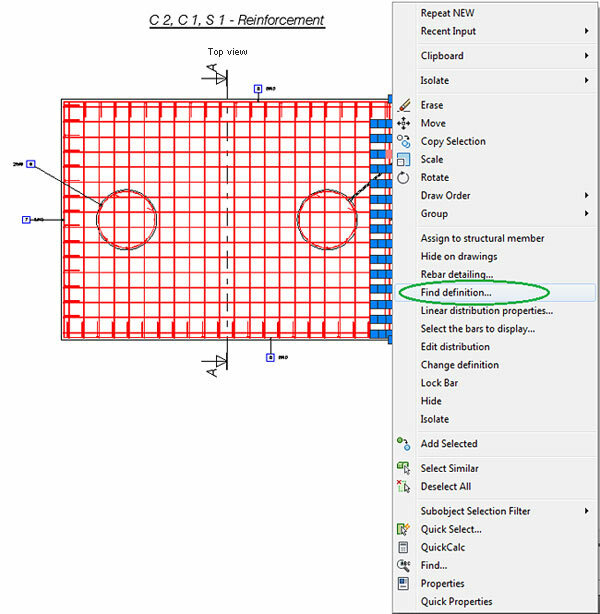 If the user wishes to quickly find a certain definition bar or to view the way a reinforcement bar is distributed within an element, there are two simple options. 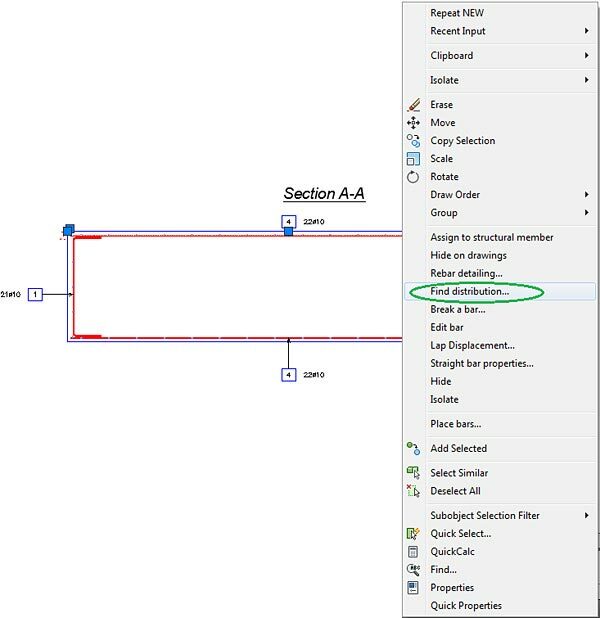 For this purpose, the distribution is selected, then right-click is used and "Find definition..." is selected from the Advance Concrete commands list available in the context menu. To find the distribution of a selected definition bar, the bar is selected, right-click is used and "Find distribution..." is selected. In the example, the option is used to find the distributions of the upper horizontal bar visible in Section A-A. If the same definition bar has more than one distribution, the user has the option to choose which one to display. So, after the first distribution is selected and displayed, on the AutoCAD® command line the following options are available: "Next entity", "Previous entity" and "Return to definition". To access these options, the highlighted upper case letters are used (N, P or R). "U" stands for displaying the next distribution, "P" for the previous distribution and "R" represents returning to the definition bar.